Because they do not have computer access, I make a standing offer to research topics that arise from our class discussions and bring the curious students more information. Last night, I delivered printouts on Suetonius, Julius Caesar, prophecy in the Book of Daniel, the Caiaphas Ossuary, Galilee Boat, Ketef Hinnom, and Tel Dan Stele, plus a biography of Pontius Pilate. Wikipedia‘s easy access to vast fields of knowledge means in only an hour a week, I can bring the inmates a richer view into the world of the Hebrew Bible, New Testament, and Christian history. I was one of the St. Andrew’s prison ministry team who brought worship and song to Elmwood on Christmas Day. 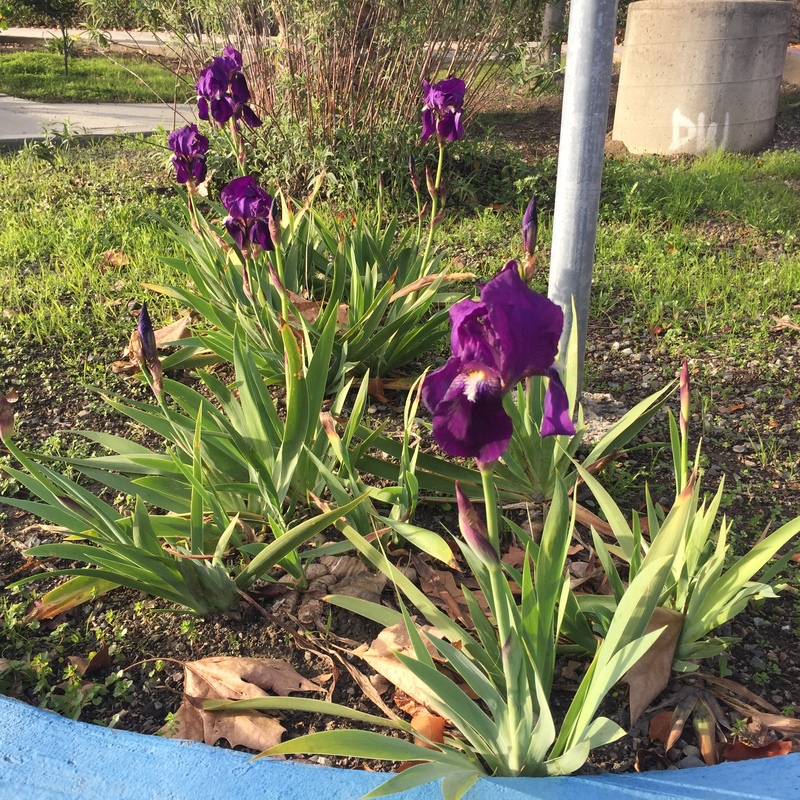 When leaving, I noticed a group of lovely deep purple irises blooming next to the back parking lot. 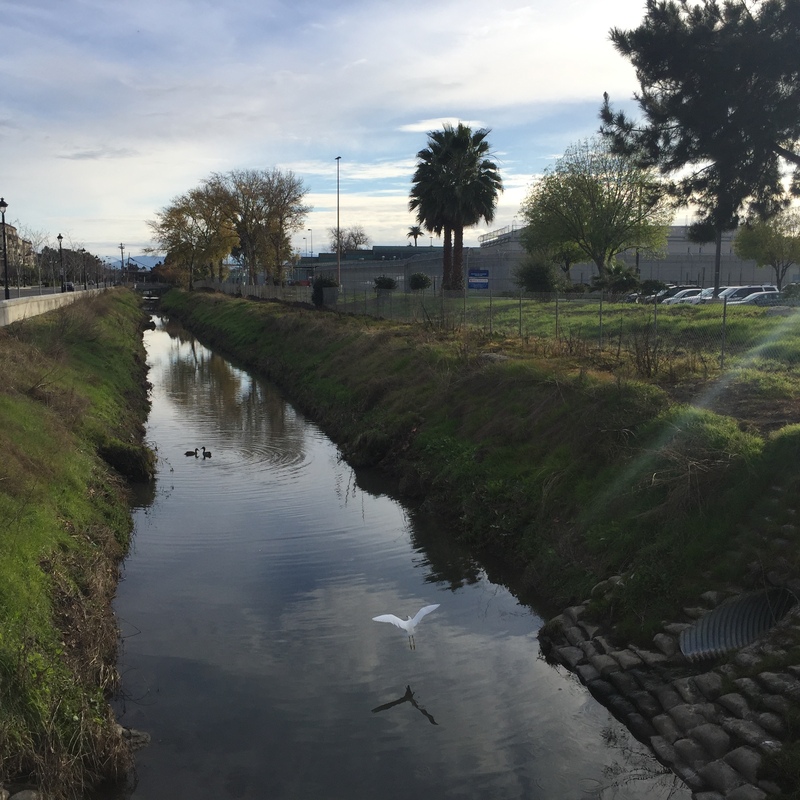 Further on, I stopped to take a photo of two ducks on the water behind the jail. Just then, a big white egret erupted from under the bridge where I stood – as if an angel were arising from the water. Because of easy and cheap digital photography and my color printer, I can show the inmates pictures of how nature was celebrating Christmas with them. One of my students was transferred from Elmwood jail into the state prison system. He is highly intelligent and deeply faithful and wants to keep up his Christian studies. Because prisons and jails will accept book deliveries directly from Amazon, I can use ecommerce to send him better books than are available in the prison library. For Christmas, I sent him two EfM books: Transformed Lives: Making Sense of Atonement Today, and Care for Creation (a franciscan spirituality of the earth). We hope he will be transferred to a prison that offers an EfM Online course or one with an in-person class. The Elmwood class asked for song books in both English and Spanish so that they can sing hymns together. I found Oramos Cantando – We Pray in Song. 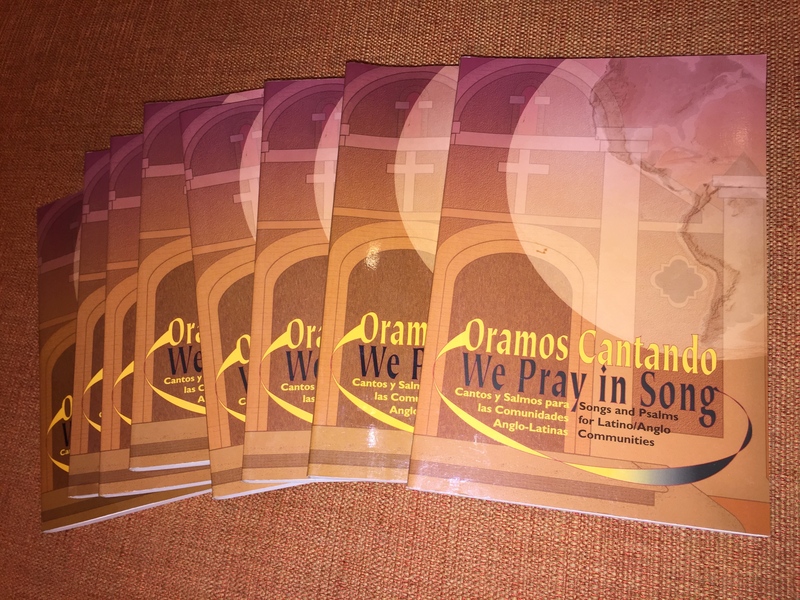 There are Spanish-only and English-only hymnals but this seems to be the only bilingual song book available. I even checked with our church’s Director of Music – who said he did not know of any. I was able to locate eight paperback copies in good condition for less than $10/each on Amazon, delivered in a week from eight different used book sellers located all over the USA.